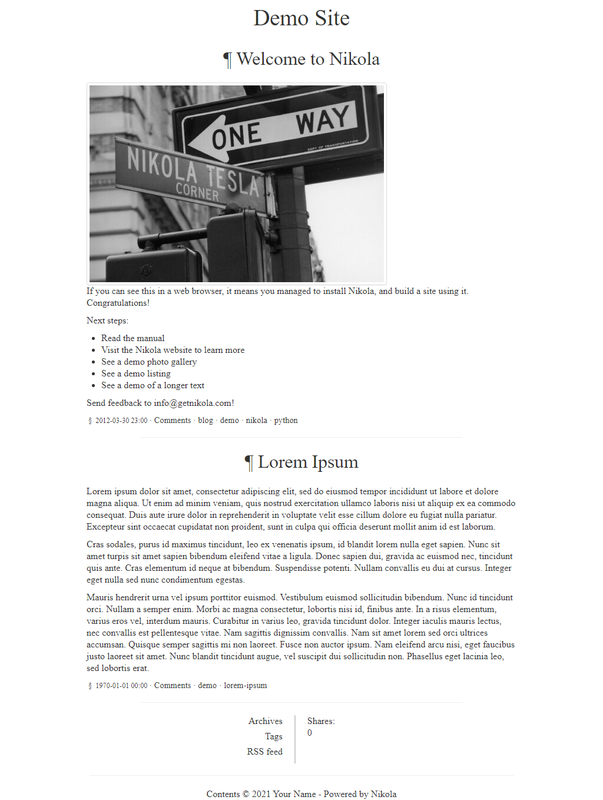 A minimalistic, readable one column theme, very loosely based on doc: http://wordpress.org/extend/themes/doc although it shares no code with it. Meta links and other things are at the bottom. This theme happily ignores the SOCIAL_BUTTONS_CODE option and uses Sharrre instead because it looks pretty. This theme inherits from the bootstrap theme, so it uses Twitter Bootstrap, JQuery and much more.